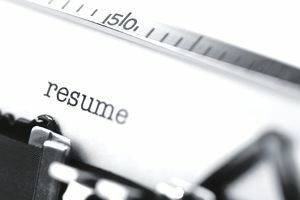 To get the TV, radio or newspaper job you want, you must write a media resume that gets noticed. Chances are, you'll be competing with dozens, if not hundreds, of other applicants. Standing out is critical. The days of paying a printing company to produce 100 identical resumes are over. Use the change in technology to your advantage by highlighting different aspects of your experience for various job openings. If the job opening is in Cleveland and you've worked in Columbus and Cincinnati, reference that in a bullet point: 10 years Ohio television experience. Just as with your media cover letter, an editor or news director is likely skimming, so look at the overall visual appeal of your resume in addition to the individual words. Skim your resume and see which facts you see easily and which ones appear to be buried. Resumes can include more than the basics of where you worked, when and what you did. If your experience includes working for the largest newspaper in the state, say so. Include the market size to help your potential employer know what kind of work environment you've experienced. You might be embarrassed to show you've only worked in small market media outlets. Don't be. That will show an editor or news director that you've probably had to do a wide variety of tasks under the same deadline pressure as in the big markets. Some candidates have spent their entire careers at only one or two publications or stations. Rather than being worried about having a short resume, sell your dedication. With so many job seekers only staying put one to three years before looking for a job in a bigger market, sell yourself as someone who's special -- an employee who's not afraid to make a commitment and work his or her way up. Keep your resume to one page. As you gain more experience, that becomes harder to do because you'll likely start running out of space. Condense information at the bottom of your resume so that you'll have more room at the top for your most up-to-date experience. For example, a news director is going to be more interested in knowing what type of editing equipment you use at your current station rather than that you were chosen the most popular member of your college sorority. Consider using just one line for jobs you held long ago so that you have as much room as you need to accurately describe your current job functions, which is what an editor or news director wants to know. Your college experience can also be one line -- your college name, degree and year of graduation. Writing your media resume should be an ongoing project. Keep it updated, adapt each version to speak directly to your potential employer and follow the basics of applying for a media job to separate your resume from your competition.